Can’t find the right sport for your kid? Don’t fret. There’s more to be gained from simply being active. tubing in my office where I do my strength training if I don’t have time to do it in the morning.” Yikes.) He’s trained with the Toronto Argonauts, is a certified personal trainer and a phys ed teacher and serves as the Ontario representative for the Board of Directors for Physical and Health Education Canada. He has written text books about healthy active living and is a contributor to physical education curriculum for the Ontario government. People who make it their business to find ways to make other people more active, know your kids can do a lot, that they want to do a lot, and that there is a lot out there for them to do. Over the last three decades, the overweight/obesity rate of adolescents aged 12 to 17 more than doubled from 14 percent to 29 percent, and their obesity rate tripled from 3 percent to 9 percent. 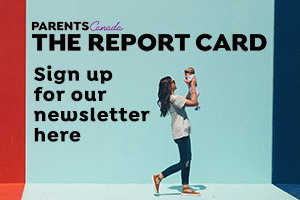 According to Active Healthy Kids Canada’s Report Card on Physical Activity for 2008, total screen time among Canadians in grades six to 10 is seven hours and 25 minutes per day on weekends, and five hours and 56 minutes per day on weekdays. Statistics Canada reports participation rates in Canadians aged 15–18 declined from 77 percent to 59 percent between 1992 and 2005. Our kids are at risk of not getting in on the ground level of physical activity, and it’s an absence they will feel for the rest of their lives, says Kelly. Active kids are less stressed, are better able to find balance and more readily find enjoyment in other areas of their lives. Not all kids are created equal, and therefore not all kids are picked first for the team. For some, it’s a matter of interest, for others there can be a developmental barrier. Lisa Rivard is a physiotherapist with the Canchild Centre for Childhood Disability Research in Hamilton and is an expert on Developmental Coordination Disorder (DCD). “DCD is a motor skills disorder,” she says. 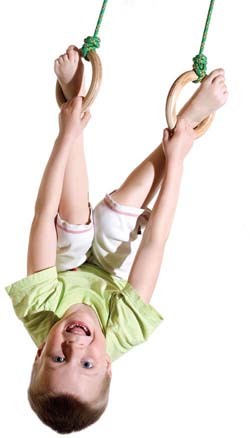 “Basically children with DCD have trouble learning to coordinate their movements. And as a result they have trouble performing some of the common everyday tasks that are required of them at home, at school and on the playground. But even then, there are options. “Children with DCD may have more success with individual rather than team sports … swimming, running, bicycling, skating and skiing.” Of course individual sports don’t always provide the team experience that you want to encourage, but this can be encouraged through other activities, such as a drama club or scouts. The bottom line is the same for all parents: be encouraging, choose an activity in which the child can have success, and have fun. ... but not for everyone“ If the kid doesn’t inherently love team sports, then don’t push him,” says Ted. If you think your child would like the social stimulation provided by being on team, look into doing individual sports, but with a friend. Beware of bad coaching “Look out for the overly aggressive coach who puts winning over playing time, who benches kids or doesn’t play everyone because of their ability levels,” says Ted. explore your options “Open up the definition of sport to include things like dance, yoga, climbing, martial arts, hiking, orienteering, roller skating and fencing. Then children can find their interest and it can be fun again,” says Ted. Kelly says that introducing kids to a variety of activities, rather than focussing on a single one can be a good way to foster an active lifestyle. let your child choose “We had Zach in hockey school,” says Ted of his now nine-year-old son, “but he just didn’t take to it. He didn’t want to play hockey. So, we didn’t push it and we found another activity, which was downhill skiing, and now we do that as a family, which I think is awesome.” Be open to the idea that your child’s definition of fun may not always match your own. Choose something that fits your lifestyle The right sport is one that stays out of the way of a child’s other priorities. “Parents should ask, ‘Is it being played at the right time, or is it interfering with the child’s family or school times?” says Jen. And that goes for parents, too. It’s going to be harder to get up at 5 a.m. on Saturdays in order to make it to the hockey practice if, let’s face facts, you like entertaining on Friday nights and you don’t really enjoy hockey. play to their strengths… Choose an activity that your child can feel successful doing at least 50 percent of the time. The less the workout feels like a workout, the better. If participating feels like a long walk up a very steep hill, try something else. Take your cues from your kids When parents try to live through their kids and push them toward certain activities, it’s a recipe for doom. “Kids, especially very young kids, just like to run around,” says Jen. “Even falling down, just sort of experiencing that on their own. I think when we try to put confines on that, they could lose their motivation.” If they are being active, and so long as it’s not ultimate fighting that has caught their interest, go with it.